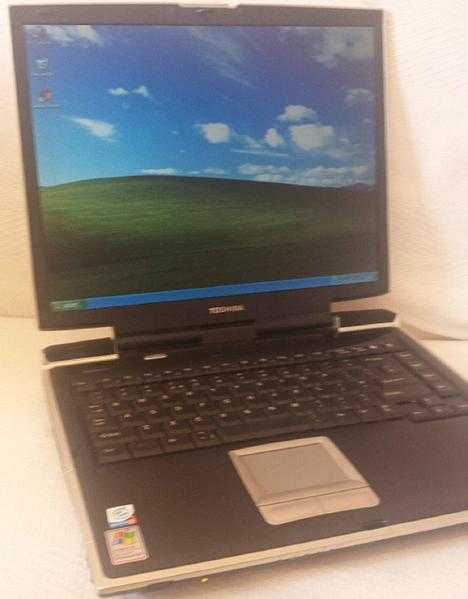 Home › South West › For Sale › Computer › Toshiba Satellite Pro A10 Laptop , Pentium M, 1.90GHz, 512MB RAM, 30GB HDD. Toshiba Satellite Pro A10 Laptop , Pentium M, 1.90GHz, 512MB RAM, 30GB HDD. Used Laptop in a good condition , some marks and scratches. Battery holds charge for a short while but is OK when using charger. 512 Mb Ram , 2 x 128Mb. 15'' Screen , Resolution - 1024 x 768. Used Toshiba Satellite Pro A10 Laptop & Charger. UK preferred payment by Bank Transfer. See.